The black Metropolis Case for 12.9" iPad Pro from Urban Armor Gear is designed to protect your third-generation iPad with an impact-resistant construction and a tactile grip exterior. The Metropolis Case also has a built-in adjustable stand that can hold up your iPad Pro to your desired viewing angle. Furthermore, this durable case has an integrated Apple Pencil holder to keep your Pencil handy. It supports the iPad's Smart Cover functionality that turns your screen on and off when you open and close the cover. In addition to security, you'll have full access to ports and buttons. Moreover, the Metropolis Case features 360° protection while meeting MIL-STD-810G military drop-test standards, all with a lightweight design at 17 oz. Metropolis Case for 12.9" iPad Pro (2018/Black) is rated 4.0 out of 5 by 3. Rated 2 out of 5 by Jeremy from Bends your iPad!! First off this is not a stab at Urban Armor Gear. They make great products and have done an amazing job at guarding my daughters iPad mini 4 from all the rough housing she has put it through. This case is the exact same style of the mini case only jumbo to fit the 2018 iPad Pro. However, I found that after putting this in my backpack with my MacBook Pro for a few weeks there was a BEND IN MY IPAD!!! I freaked out and couldn’t imagine how the bend happened! I have been extremely careful about how I handle this piece of tech and have not taken it anywhere other then to and from work. Then i realized the main reason for the bend..... the magnetic clasp! When laying it flat the clasp makes the iPad sit uneven with the high point in the middle right section. While in my pack my laptop would put pressure on that area and caused it to have a minor bend in the exact spot of the clasp! I was able to bend it back (or else I would post photos) and since realizing this I have cut the clasp off as I wait to see if anymore bend happen. So far no issue but I don’t have the option of magnetically closing the case nor does it hold my pencil in place while charging. This is no fault of UAG in my opinion but still I feel a design change is due to reinforce the FAIL ON APPLE’S PART FOR CREATING SUCH A FRAGILE PIECE OF HARDWARE THAT CAN’T EVEN STAY UNBENT IN A TANK OF A CASE. It’s all over the web about bending issues from the new iPad but I wanted to warn others that this case will not protect you from the issue and with standard usage with a backpack you will have a bent IPad. Buyers beware! Apple.... I love everything about this iPad but if I have to treat my iPad like a fragile bendable mess of a gadget then it defeats the purpose of having a portable powerhouse. Rated 5 out of 5 by Christopher from Solid protection. 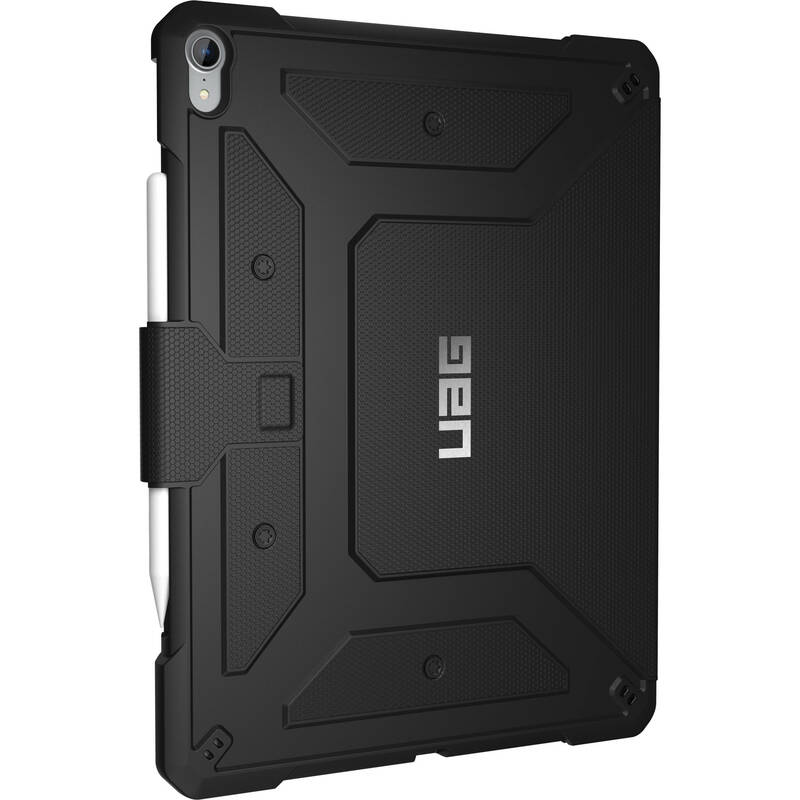 Having replaced my old iPad Pro with a new one, it made sense to purchase a new UAG case to replace the old one. Solid protection and it holds the Pencil securely. Great value for money. Rated 5 out of 5 by Guy from Rock solid case This is the only case to have to protect your iPad Pro. . .my first one was on my original iPad and served me very well, no brainer for new iPad Pro. . .
Will this be compatible for ipadpro 2018 Model # A1876?